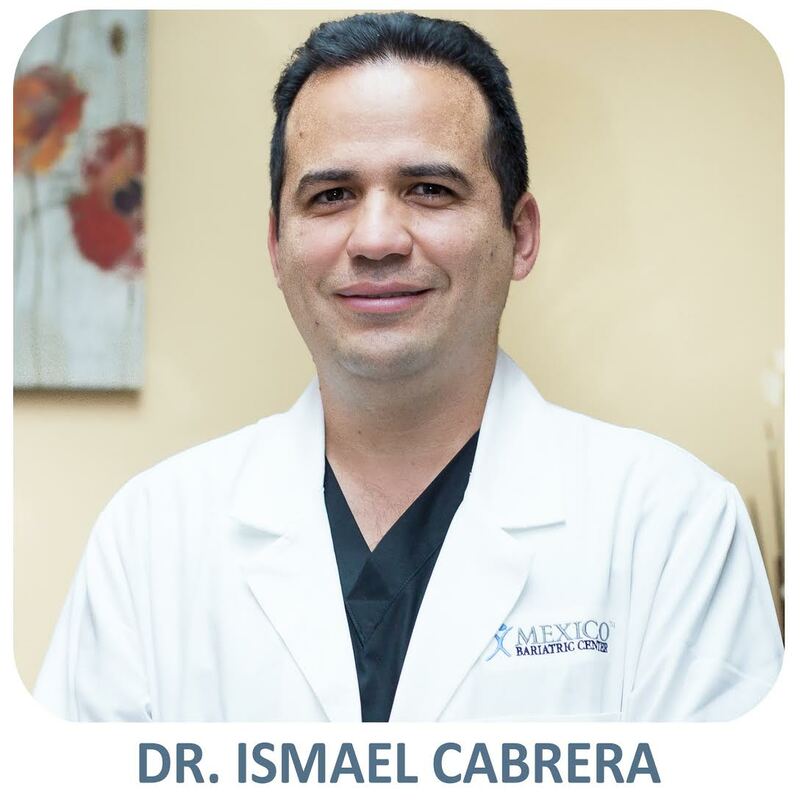 Dr. Ismael Cabrera, MD, is one of leading bariatric surgeons in Tijuana, Mexico. Dr. Cabrera has been performing weight loss surgeries since 2009 – performing thousands of surgeries since then. Surgery degree – CMN IMSS Hospital Northeast UMAE 25. Monterrey, Nuevo Leon. …I had the sleeve done on July 24 by Dr Cabrera. I am very pleased with the results so far. I had absolutely no complications and have lost 61 lbs, and 83 lbs since my highest weight. I would do all over again. Not a single regret. Gastric Sleeve Surgery is a restrictive weight loss surgery. During this bariatric surgery, the stomach is made smaller which helps patients lose weight faster. Because of this smaller stomach, patient feels full quicker, consume less food and adjust to eating better portion sizes. This leads to an overall better health outlook. This weight loss surgery is done on those suffering from morbid obesity. Typically individuals with a BMI of over 40 or those with a BMI of 35 or higher with a comorbidity is a candidate for gastric sleeve surgery. Some comorbidities include sleep apnea, high cholesterol, high blood pressure, Type II Diabetes and heart disease. Gastric sleeve surgery is done by making a large incision in the abdomen. Surgeons remove a large portion of the stomach leaving a vertical sleeve that is about the size of a banana. The sleeve goes from the esophagus down to the small intestine. The pyloric valve, which controls the release of food from the stomach to small intestine, remains intact and functions normally. The stomach is not reversible. Also, oftentimes gastric sleeve surgery is done as a part of one’s weight loss plan. If someone needs to lose a lot of weight before duodenal switch or gastric bypass surgery, they may have gastric sleeve surgery in order to jumpstart the process. Also known as biliopancreatic diversion with duodenal switch, duodenal switch is a bariatric surgery procedure that uses both a malabsorptive and restrictive aspect. The restrictive portion removes about 70% of the stomach while the malabsorptive reroutes the entire small intestine creating two separate pathways leading into one common channel. The main advantage of duodenal switch is that it combines moderate caloric intake with substantial malabsorption results which leads to higher weight loss percentages. The surgery also has been proven to cure or put into remission 98% of all Type II Diabetes cases who embark on duodenal switch surgery too. High cholesterol, high blood pressure and sleep apnea all have a higher than 90% chance of going into remission after this weight loss surgery too. Because the pyloric valve between the stomach and small intestine is preserved, patients who do not experience the dumping syndrome common with those who have Roux-en-Y gastric bypass surgery. The diet following duodenal switch surgery is also more tolerable than any other weight loss surgery. The malabsorptive portion of the DS surgery is fully reversible because no portion of the small intestine has been removed at all, just re-routed. Overall there are few disadvantages with having duodenal switch surgery. Like many bariatric surgeries, vitamin and minerals supplements are required daily for one’s lifetime. Gallstones are also a common side effect of weight loss surgery so surgeons generally remove the gallbladder during DS and gastric bypass surgeries now. Ultimately, ds patients must have lifelong blood tests to check for vitamin deficiencies and must also follow-up with their surgeon regularly. Some other risks include deep vein thrombosis, stomach leakages, infection, abscess, hernia, bowel obstruction or malnutrition.